I don’t know if you’ve noticed, but it feels like peoples’ voices have been getting louder recently. There’s an urgency bubbling, a building hum, occasionally erupting into shouts and sobs, a startling squall. In a time of social division, there are also movements to form communities and to lend our voices to causes, to find better ways to communicate and to prevent the mental anguish of isolation. The premise of Emma Smith’s exhibition ‘Euphonia’ is that through speech we are constantly making music together, and that this collective action is important for social connection. This music is made not just through song, but in our everyday social interactions, our voices unconsciously hitting complementary notes, our speech patterns merging with others’ rhythms, becoming more harmonious as we bond. ‘End Matter’ is a project by artist Katrina Palmer, commissioned by Artangel and BBC Radio 4. Palmer is an artist, and more specifically a sculptor, whose works take the form of words, both spoken and written. 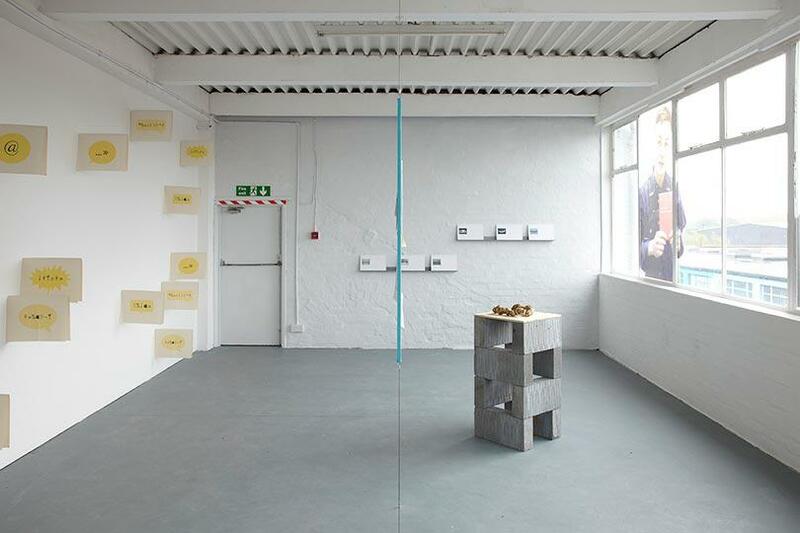 Her new work ‘End Matter’ is comprised of three parts: a publication of the same name, published by Book Works; a site-specific audio walk, itself divided into three sections, all under the title ‘The Loss Adjusters’; and a radio play broadcast by BBC Radio 4, ‘The Quarryman’s Daughters’. 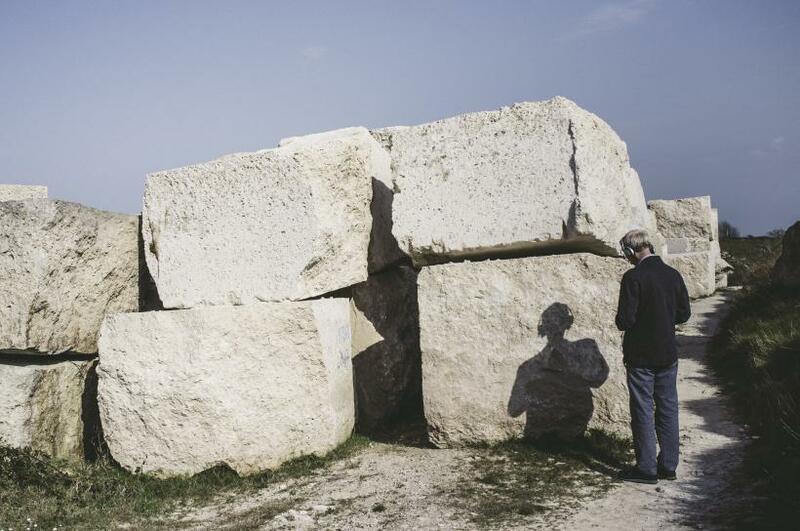 In these multiple formats the artist has explored the Isle of Portland. And explored is, perhaps more than many other projects it is applied to, apt to describe Palmer’s engagement with the small island, a mere 6 miles across and 1.5 miles wide, located just off the coast of Dorset. A Small Hiccup, Grand Union, Birmingham. Installation view, 2013. If you have ever spent any time considering how language mutates, from marvelling at how swiftly neologisms like ‘omnishambles’ enter the dictionary to bemoaning how IAU (incessant acronym use) is degrading the English language, then maybe it will not be too great a leap for you to imagine a world in which language itself has become diseased. ‘Pontypool’ (2008), a low budget horror film, which does what ambitious low budget horror should by working within its limited means to convey a disturbing but compelling idea, introduces a new form of viral infection: a linguistic disease spread through speech. Puppet Show, Eastside Projects, Birmingham. Installation view, 2013. 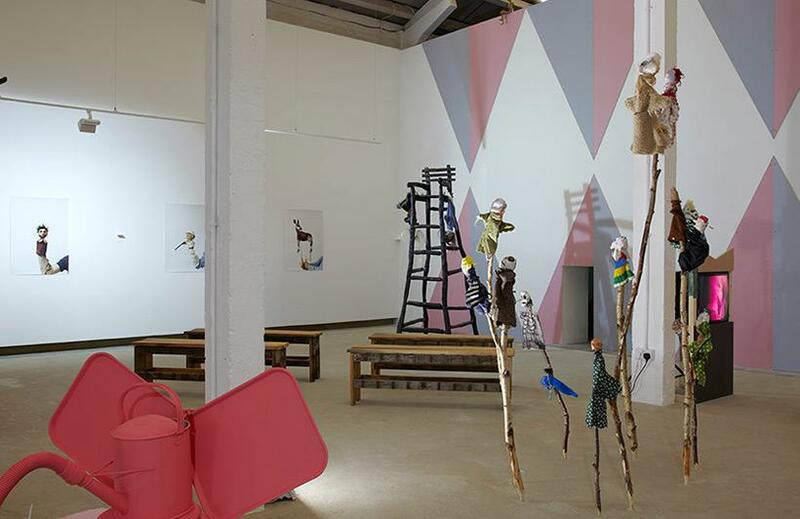 ‘Puppet Show’ is the latest in a series of group exhibitions and productions within Eastside Projects that ‘examine modes of display and the construction of the public sphere’. The medium, be it painting, sculpture, the gallery or the book, is not only represented in its multiplicity but is also actively engaged with to form connections, test propositions and produce new work. 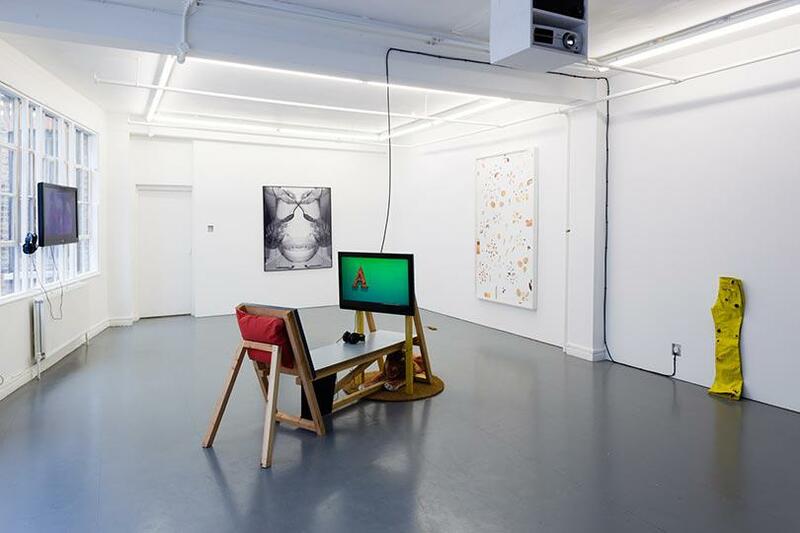 Making a tangential leap from ‘Narrative Show’ in 2011, the artists Celine Condorelli and Tom Bloor have curated an exhibition that explores the subversive potential of mediating their message through crude and diminutive alter egos by installing, or revealing, a puppet state.